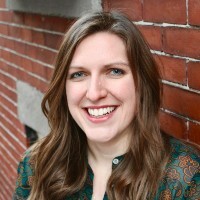 Everyone knows that volunteers are the lifeblood of any nonprofit - including (and especially!) community choruses. 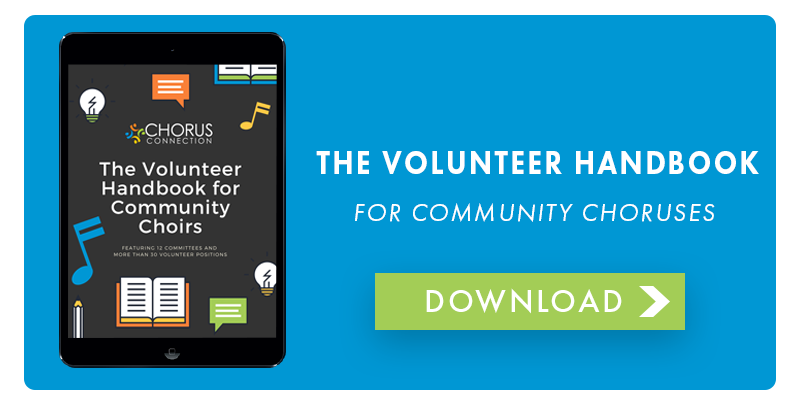 There are many reasons community choruses rely on volunteers to sustain and grow their organizations. Here's why we need you to step up to the plate. Nonprofit community choruses are like businesses in many ways. We have to make sure that we bring in revenue annually, that our employees are happy, that our data is managed appropriately and securely, and that we forecast and plan for the future sustainability of the organization. On top of the standard workload it takes to run an organization, we usually have at least 2-4 large-scale performances every year, several fundraising events, recruitment events, member events, you name it events... we got 'em. That's a lot of work! And we simply need people to help manage it all. Ask any small nonprofit chorus about their financial situation and we'll say that it's... well... not great. Most of us are just scraping by trying to make ends meet. Heck, we can barely afford to hire the required staff that we need - like a musical director! Bottom line is that we need help (okay... a lot of help!) but we simply can't afford to pay for it. 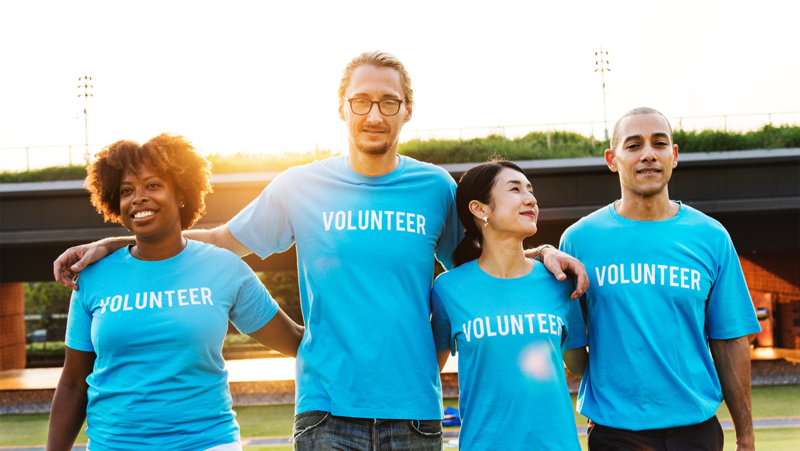 Volunteers are not full-time employees. They have their own day jobs and personal lives outside of the chorus. So you might stand by and think 'oh, that organization has twenty volunteers - they don't need anymore.' FALSE! We do, because those twenty volunteers can only give a small fraction of the time that a full-time employee can. Those twenty people are more equivalent to like... I don't know... half of one full-time employee! So we need several more volunteers to manage what would, in most cases, be the job of one person. As mentioned before, community choruses are limited in the amount of staff we can hire which means we are also limited to the skills and expertise of just a few individuals. Indeed, our chorus managers are not typically certified accountants, financial advisors, expert marketers, software engineers, and project managers (wouldn't that be great though?!). So we rely on volunteers with special skills to give pro bono expert advice. If you do have a specialty, we likely need your help even more! Feel a sense of purpose and belonging. Foster arts programs in the community and help boost the economy. Be a part of a community and team. Hear sweet choral works and witness incredible performances. I hope I've convinced you to at least consider volunteering for a community chorus. Contact a local community choir today to volunteer and I promise... you won't be turned away!